As the customers' single accountable point of contact, Endress+Hauser Canada will assist them in choosing the right SpectraSensors analyzer and choosing the proper sensitivity level to generate consistently accurate readings of analyte, such as moisture (H2O), hydrogen sulfide (H2S), carbon dioxide (CO2), oxygen (O2), acetylene (C2H2), ammonia (NH3) and gas composition. Customers will benefit from the factory-trained local resources of Endress+Hauser, training in state of the art Process Training Units, bilingual telephone support and onsite services (commissioning, maintenance and repair). Endress+Hauser can help customers incorporate the data stream from their analyzers into their IT infrastructure, including IIoT systems. "The solutions-based approach pays off for our customers in both the short and long term," says Jason Riegert, Analyzer Program Development Manager, Strategic Solutions & Services, at Endress+Hauser Canada. "Selecting, locating and installing the right analyzer, combined with providing know-how and support, assures that each customer can expect high accuracy in contaminant measurement over the lifespan of the equipment with the lowest cost of ownership of any possible solution." SpectraSensors analyzers employ three main optical technologies - TDLAS (tunable diode laser absorption spectroscopy), Quench Fluorescence and Raman Spectroscopy - to measure H2O, C2H2, NH3, H2S, CO2, O2, gas concentrations* in hydrocarbon gas applications. TDLAS was introduced to the natural gas industry by SpectraSensors more than a decade ago and has proven to be the most effective analytical technology for measuring contaminants, with the fastest response rate, and great durability. Unlike other measurement techniques, the analysis component of these three optical technologies - a beam of light - isn't in direct contact with the gas and therefore doesn't degrade. The rugged nature of these optical gas analyzers has allowed them to be used in natural gas pipelines with very little maintenance, no cross-interference, and with no detrimental effects from glycol, methanol, amine, H2S and more in the gas stream. They require no field recalibration, ever. Since its inception, this technology has demonstrated its reliability in thousands of installations worldwide. In addition, there is an expanding market for optical gas analyzers in crude refining, LNG liquefaction and petrochemical and fertilizer production. Trace levels of H2O, H2S, CO2, and O2 in natural gas can corrode pipelines. Identifying levels of contaminants establishes how much processing is required to make it safe enough for pipeline transmission. For example, H2S levels at the wellhead may be over 100 parts per million (ppm), but that must be brought down below 4 ppm for delivery to a mainline pipeline. 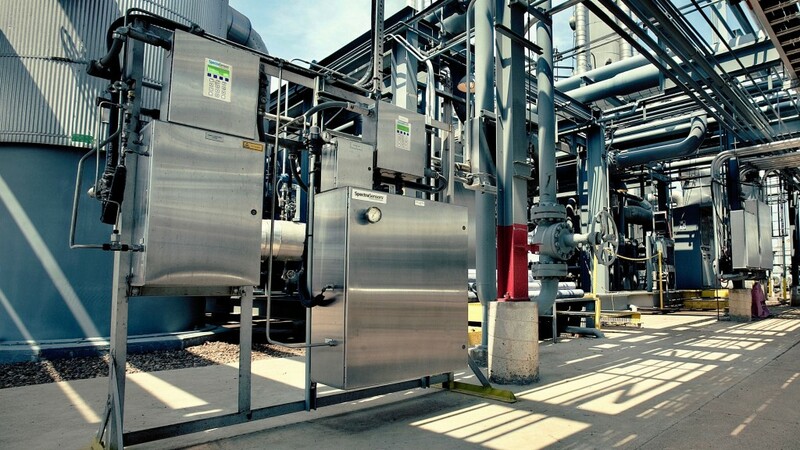 In Canada, most of the demand for gas analyzers is on an upstream gathering network at the entry point to an intermediate gas processing plant, then on the other side of the plant to measure the effectiveness of contaminant removal. The gas is analyzed again when it reaches the custody point of a mainline gas pipeline system to ensure it meets the regulatory standard for onward transmission. * Between 0.1 and 100% (by volume): H2, N2, O2, CO, CO2, H2S, CH4, C2H4, C2H6, Cl2, F2, HF, BF3, SO2, CO2 additionally for LNG applications specific gravity, Wobbe index and BTU.